Oh. Hi, everybody. Welcome to our Clubhouse. Today, my pals and I are pretending we're superheroes. Wanna play along with us? Well, hot dog. GOOFY: Look out! Look at me, Mickey. Whoa! I'm flying! 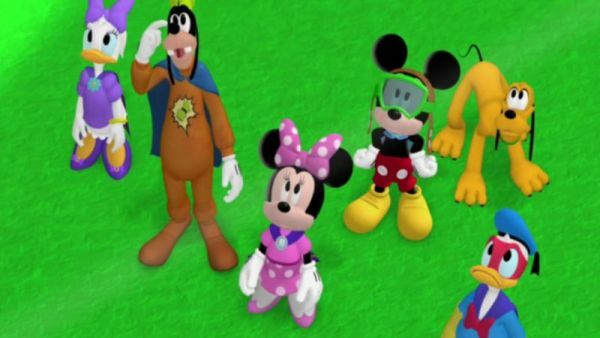 MICKEY MOUSE: Hey, it's Super Goof. DONALD DUCK: Ah, cut it out. 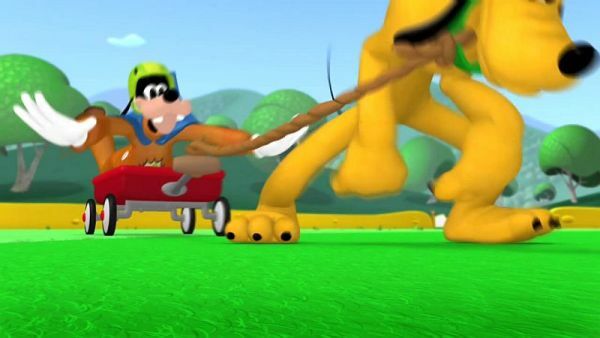 GOOFY: I'll help you, Pluto! MICKEY MOUSE: Whoa. Hold on, guys. We gotta work as a super team if we're gonna defeat the super villain. DONALD DUCK: You'll never defeat me! GOOFY: Get back here, you super meanie! MICKEY MOUSE: Oh! Huh. After him! Come back here! DAISY: We got you now! DONALD DUCK: I had my costume on! MINNIE: Slow down! GOOFY: He's over here! He's over here! Hmm. Where'd he go? DONALD DUCK: Waa! GOOFY: I got him! I got him! I didn't get him. 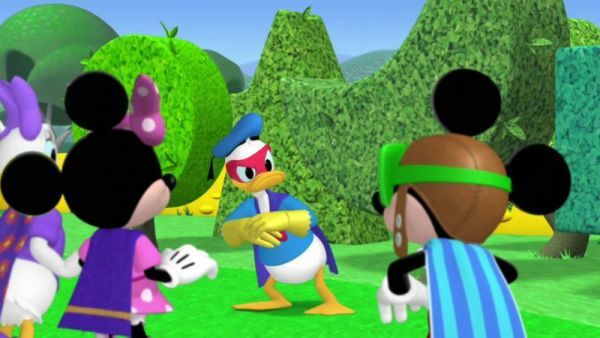 DONALD DUCK: Huh? 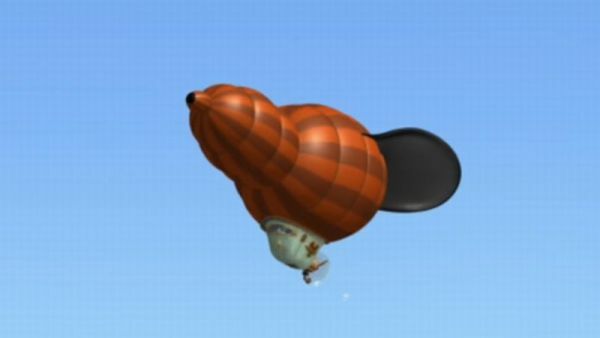 GOOFY: Look, it's some kind of blimpy thing. MINNIE: Goofy, that's called a zeppelin. GOOFY: Gosh, a zeppy-lin? MICKEY MOUSE: I wonder who's flying it. PETE: There they are, the Clubhouse gang, always having fun. Always happy. With everything they'd ever want. But not for long. MICKEY MOUSE: Oh, no. GOOFY: Golly, would you look at that. PETE: Don't be alarmed, it's just me, Power Pants Pete. 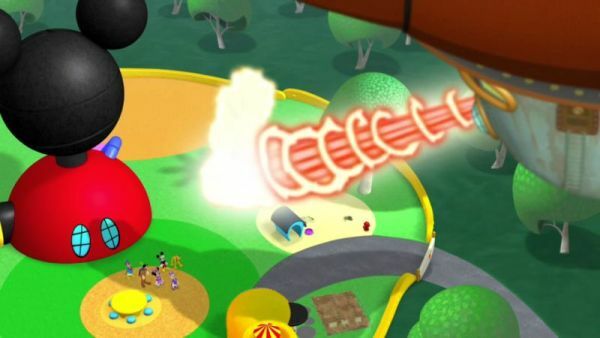 On second though, maybe you should be alarmed, because everything in the Clubhouse world, is about to get shrunk down from big to little. and stop him from shrinking everything. 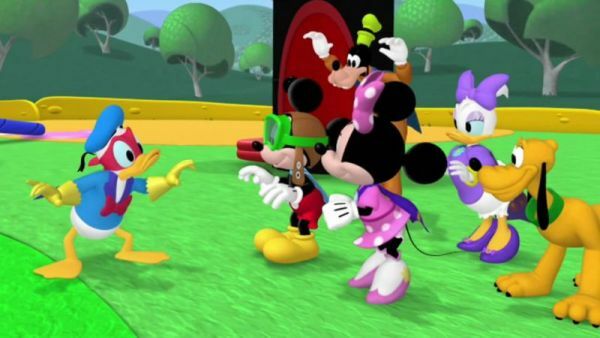 GOOFY: Gosh, we gotta super solve this super problem. 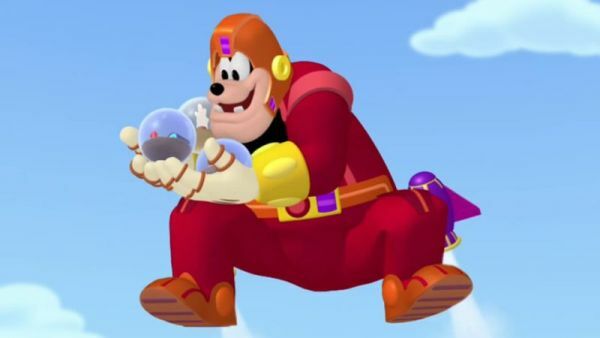 PROFESSOR VON DRAKE: Did someone say "super"? 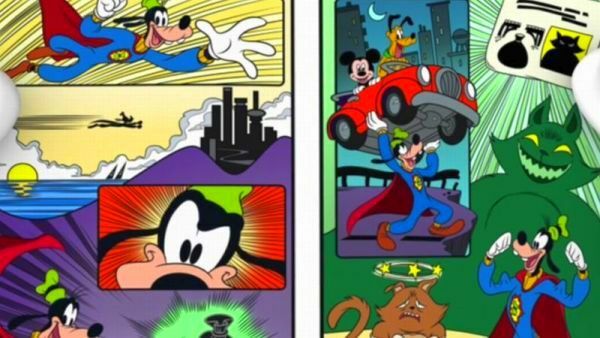 MICKEY MOUSE: Professor von Drake! PROFESSOR VON DRAKE: Have I got just the super thing to super solve your super problem. Step inside if you super please, won't you? I call it the super duper super maker machine. GOOFY: It makes soup? PROFESSOR VON DRAKE: Not soup, goofy. It makes superheroes out of all of you.